What do you find most appealing about Regency fashion? 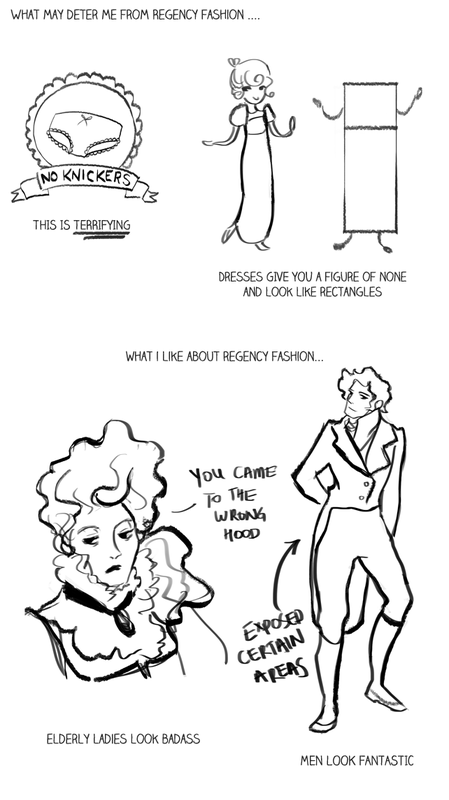 What might deter you from Regency clothing? And here are our responses, in words, images, and a combination of both! I coo over the men’s dress: The sporty riding look with tousled windblown hair. Mixed feelings on muslin. Draped lightly over a natural figure, a muslin dress sounds both elegant and comfortable but all those layers of delicate white gauze must be a pain to clean! Being hopelessly accident prone, any muslin gown of mine would not likely survive its first tea sitting. Cravats. The very idea of delicate fingers running over an immaculately tied neckband, playing with the knot before loosening the fabric to reveal, little by little, the soft skin beneath, the pulse that quickens, the heat of a gentleman’s breath upon a lady’s fingers…is an appealing notion, indeed. And what do you think? What exactly do you like/dislike about the Regency wardrobe? Let us know in the comments! “Dresses give you a figure of none and look like rectangles” made me laugh hard. (But but ballgowns are gorgeous!) YES to everything about gentlemen fashion. 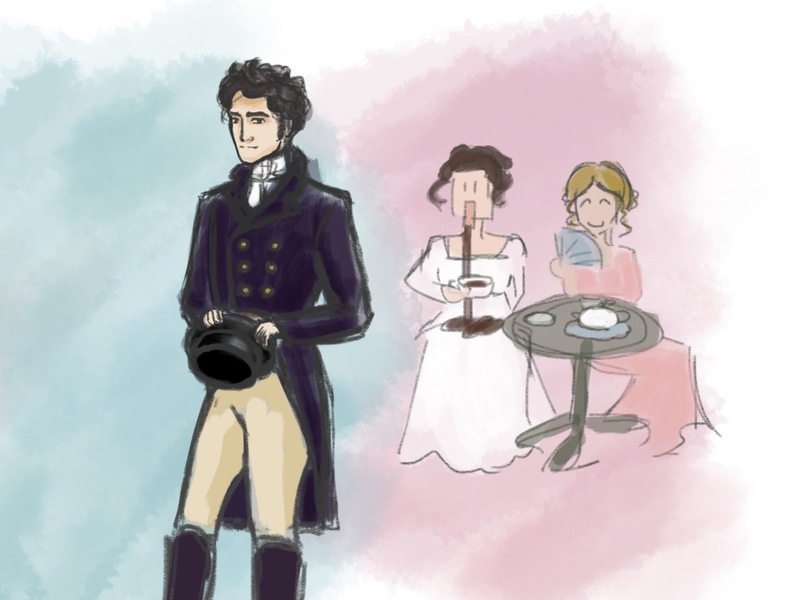 Suits/tuxedos are great, but it was SO much better in the Regency, in my opinion. And I agree with Samantha – the navigation in Regency attire had to be a pain.